After over 20 years of providing public rowing programs from a leased facility, Community Rowing, Inc. decided to construct a boathouse of their own with the infrastructure and accessibility needed to maintain and develop programs and services. CRI is the largest rowing company in the country, and more than 5,000 rowers depend on their facilities, expertise, and outreach. To further serve the community, a new facility was essential. Anmahian Winton Architects wanted an earthy aesthetic, a façade that would evoke the traditional covered bridges and tobacco barns of New England while also delivering superior insulation and ventilation. 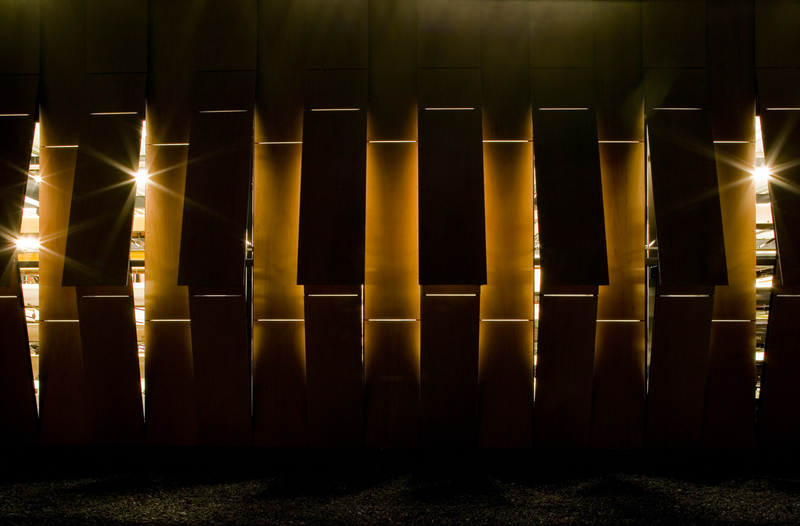 The architect’s idea was to use wood-faced Prodema panels to create an operable paneled façade that would achieve all three goals. For the upper portion of the façade, EXTECH designed 12 new aluminum extrusions to support the Prodema panels in their various orientations. We used a CNC router to fabricate the Prodema in a variety of unique shapes that brought the design to life. We customized our TECHVENT 5300 to create the operable wall panels. Each 16-foot high section is hinged at the top and bottom and open in the centers, driven by rack and pinion hardware. The EXTECH team engineered the wall panels to be easily operable and efficient, allowing for as many as 30 panels to be opened by a single drive mechanism. 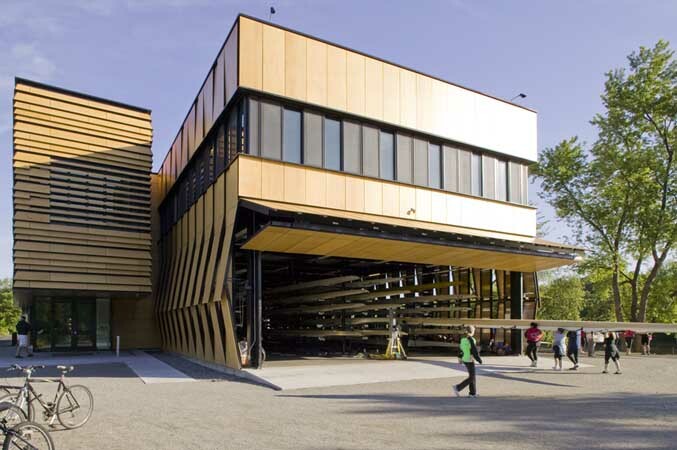 In addition to the Prodema façade and operable wall panels, EXTECH designed the unique aluminum clips that support a shingled glass wall on the adjoining sculling pavilion. Imagination and collaboration between the architect, the contractor, and EXTECH are what made this stylish design come to life. 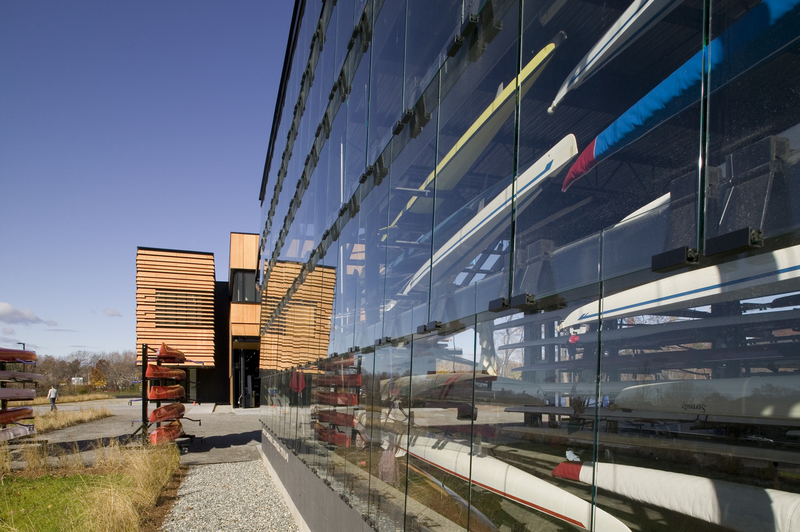 Before construction was even completed, the Boathouse won an AIA award for Anmahian-Winton Architects. 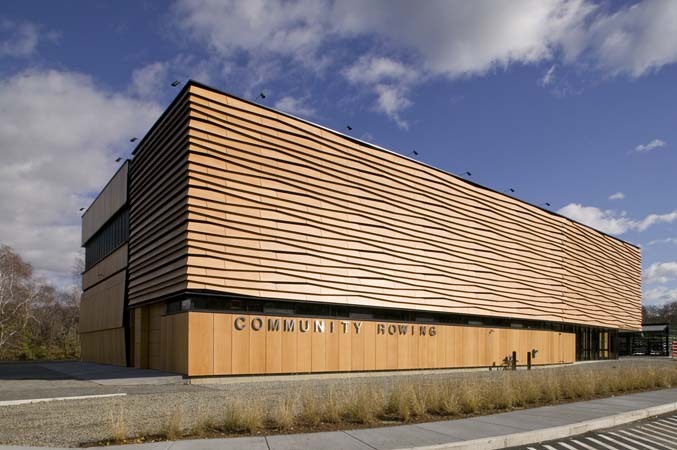 We are proud of our work on this inventive project, and even more proud that the facility is helping people from all walks of life enjoy rowing on the Charles River. If you would like to find out more about this project or our Custom Design services, we're more than happy to chat! Please contact us for more information.